This entry was posted in English and tagged conference tips, learning & knowledge translation, reflection on April 12, 2017 by Louise Mason. There’s been a quiet revolution in conference presentations over the past ten years, and it’s all in the name of learning and knowledge translation. Gone are the days of banging out a deck of slides using a canned Power Point template or one covered with an organization’s logo and a list of six bullet points per slide. Nowadays, savvy presenters are putting a more thought and innovation into their presentations in order to better engage audiences and communicate their key messages. Many millennials seem to understand this new era of communication and design intuitively, while many of us from other generations are still learning. This entry was posted in English and tagged conference tips, conference updates, evaluation capacity building, innovation, learning & knowledge translation, networking on March 16, 2017 by Louise Mason. This entry was posted in English and tagged Critical thinking, Evaluation questions, government and institutions, learning & knowledge translation, Plato, reflection on September 14, 2016 by Louise Mason. 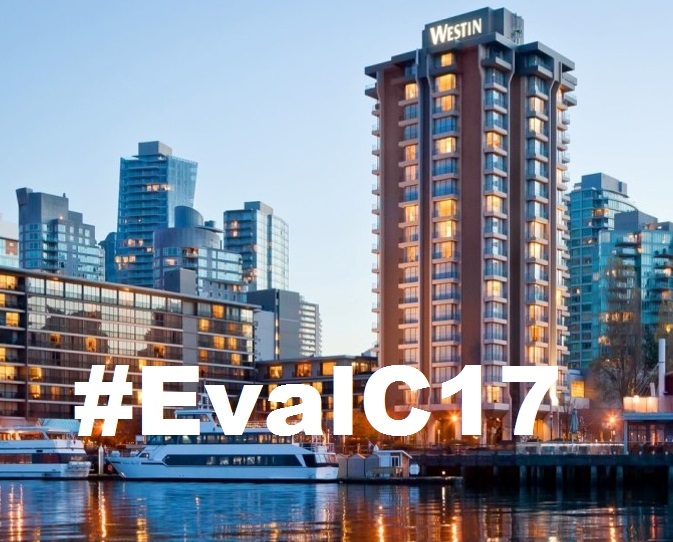 It’s now only 7 and a-half months before the 2017 Canadian Evaluation Society Conference begins. Thinking back on the journey to date, one of the early tasks that stands out for me was the process of identifying a theme. I was tasked with leading that process so I started by sitting down with a pen and paper and a BIG cup of coffee. I wrote down words and concepts that I felt represented what I’ve been hearing my evaluation colleagues and students talk about. That list was revisited and revised many times after conversations with Co-Chair, Sarah Farina and a host of others who engaged in the conversation. Just looked at my computer files and my first theme document was created in May 2015! This entry was posted in English and tagged action, conference updates, innovation, learning & knowledge translation, networking, reflection on September 14, 2016 by Louise Mason. We thank the team of CES 2015 in Montreal and CES 2016 in St. John’s, who have provided valuable guidance. Our incredible team of volunteers is made up of experienced and new evaluators from throughout BC and Yukon as well as national CES members located throughout the globe. We have received invaluable advice and insights from our colleagues at AEA. All in all, this experience is bringing out the best in our profession and we thank everyone who is working with us to make CES 2017 a great success. Keep an eye out here for more updates! This entry was posted in English and tagged action, conference tips, conference updates, culture, innovation, learning & knowledge translation, reflection, social change on June 6, 2016 by Louise Mason.